EcoShield™ Biodegradable EP Gear Oil is a readily biodegradable, environmentally friendly, ecologically responsive, non-toxic lubricant. 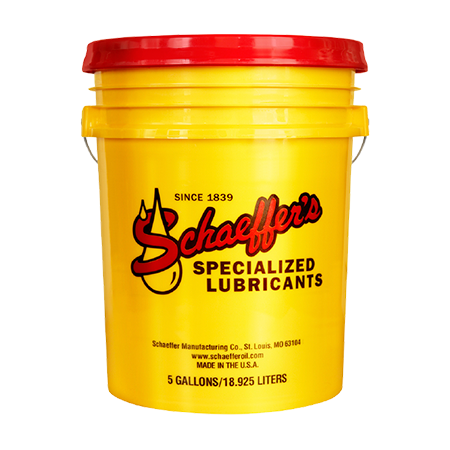 It’s formulated for lightly to moderately loaded gear drive, circulating oil system and bearing applications and those gear drive applications that contain internal backstops or sprag clutch mechanisms, that are operated in environmentally sensitive areas. EcoShield™ Biodegradable EP Gear Oil is blended from a combination of high oleic vegetable base oils and biodegradable synthetic polyol ester base fluids. Further blended into our biodegradable gear oil is an ashless, thermally stable, anti-wear package that provides excellent anti-wear protection and load carrying capabilities. Environmentally Acceptable Lubricants (EAL) for marine applications where the lubricant may come into contact or interface with fresh or sea water. Prolongs pump and bearing life.